Hey there, blog friends! After a bit of a hiatus, I'm back to crafting! 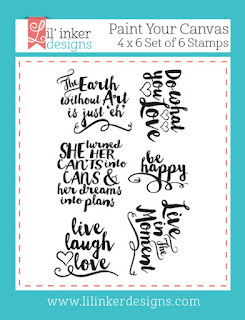 And what better way to start out than a Lil' Inker Designs new release!! 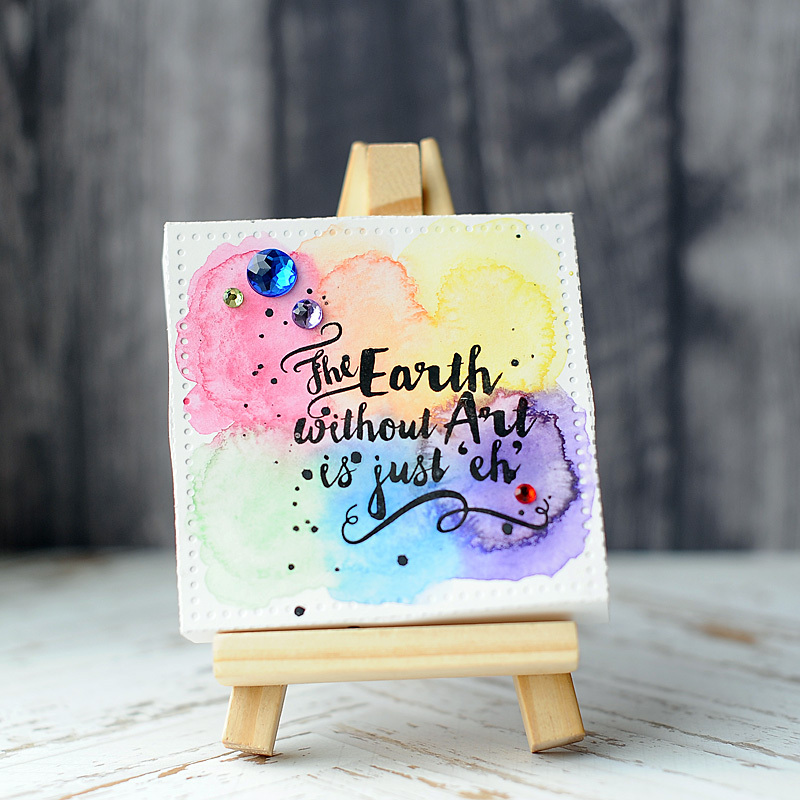 Today I am featuring the new Mini Easel, Mini Canvas die & Paint Your Canvas stamp set. These items are SO cool, and I have so many great home decor ideas planned for them in the future. 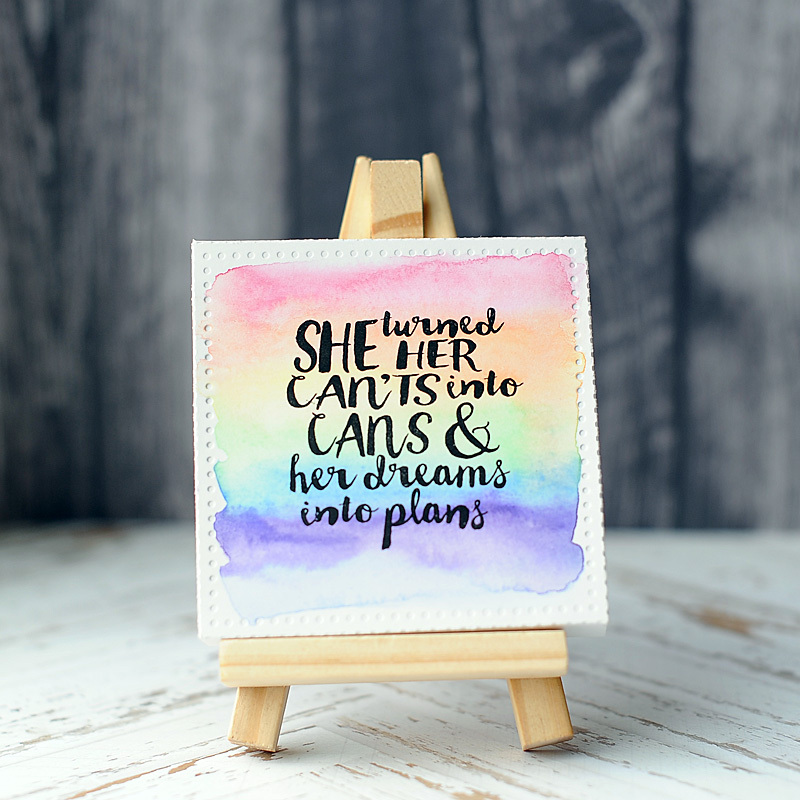 For today's post, I created two watercolor rainbow canvases that sit on the adorable easel. Check them out! The first one uses one of my very favorite inspiration quotes for women, so I kept it simple...and just painted the rainbow lightly as stripes in the background. Because the second one was about the world of art, I made it a little more messy. I started by painting six circles, three in each row. Then I added more paint to them & blended them together. I flicked black paint splatters to it, and then stamped the sentiment to it. I finished by adding some jewels to it. I will be back tomorrow with more projects using our newly released products!! LOVE the CUTE mini easels too!!! WOW - these must be SO MUCH FUN to work with, a great gift idea ... I'm thinking it would be difficult to part with them though, it would be so tempting to keep them and use them to decorate every room!!! Love your cute little canvases. The watercolor backgrounds are so pretty and the sentiments are spot on! Super cute canvases! Love the watercolored backgrounds. Love this sentiment and the pretty watercolor background, Lea. Awesome little canvas. Amazing watercolor backgrounds! I'm loving those sentiment stamps, too! Beautiful watercolor backgrounds. What a wonderful way to highlight the stamps. Gorgeous canvases!!! I love this concept -- so unique! How adorable!! I LOVE the canvases-they are so out of the box!! LOVE the soft watercolor style to both of these mini canvases - what a rainbow of fun they are!! The colors are soft and subtle and the messages just inspire!!! Way to go - you did a stellar job!!! 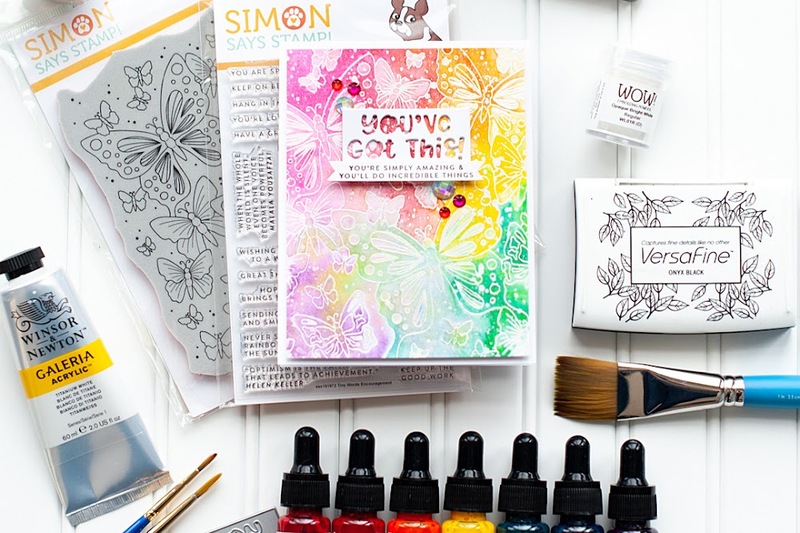 Love the Paint your canvas stamp set! Great card! Love love those mini canvas! great card! Love these precious little works of art!!! 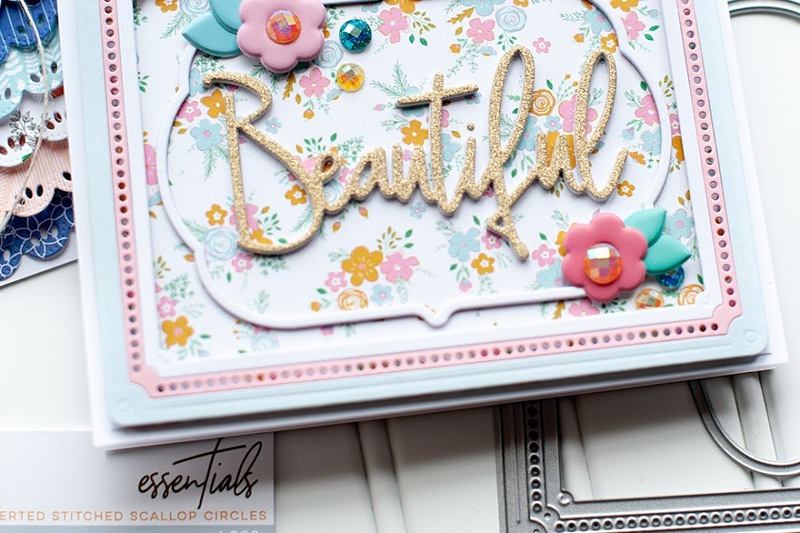 These new products are totally fabulous! The easel will be fun. Make small designs and use them for decoration. When you get tired of them - replace them with something else. Gives you a chance to make more different projects. Two amazing cards! 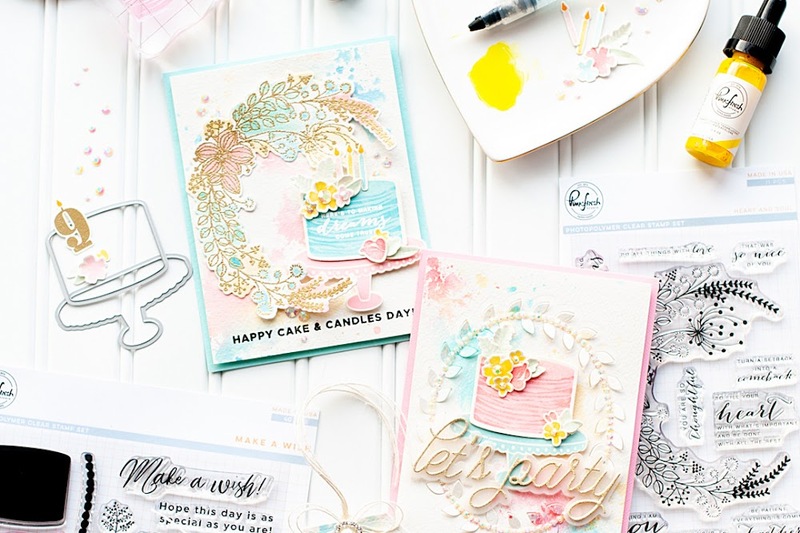 Love the way you dressed up your water colored designs with extra bling! I like the water colored backgrounds on your mini canvases. Love your canvases, the water-colored background looks great! 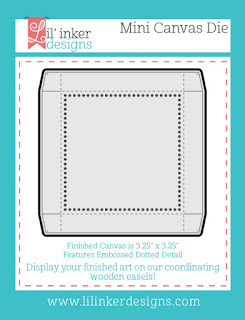 The mini canvas idea is so neat! Love it!